Anabasis research papers focus on the Greek interpretation of historical events. Anabasis research paper due and don’t know how to start it? How about like this? Xenophon’s Anabasis represents a break from previous Greek behavior towards the Persians. In fact, Anabasis could be mistaken for a work that belongs in Persian history rather than Greek history, if one did not know better. The main difference in the work is the past relationship between Persia and Greece had been one of constant discord and more or less passive behaviors i.e. Greece was always invaded. However, Xenophon illustrates that the Greeks served as mercenaries for the Persians, a fact that is highly unusual and unheard of in Greco-Persian history. Furthermore, this position allowed the Greeks to obtain a geographical outlay of Persia first hand and get a sense of the actual size of Persia. Xenophon emphasized that the new view of Persia was no longer one of a daunting enemy but rather the reality of a failing empire. Xenophon’s work clearly illustrated the delicate state of disarray and the impotence of the Persian Empire. Anabasis records the decline of the Persian Empire through accounts of the massacre of the generals to the march home, in which the Persians were unable to stop and/or kill the Greek retreat. Anabasis served as a blueprint for Alexander and instilled in him the confidence he needed to sweep the Persians out of his way. Anabasis marks a definitive departure from former Greek texts and their view of the Persians. Arrian Research Papers study a Greek historian and his many accounts of Alexander's life. Persian Wars research papers explore the battles between the Greeks and Persians during the fifth century. Order a research paper on the Peloponnesian War from Paper Masters. The Peloponnesian War - Sometimes they were allied, but often the military alliance was led by Sparta, such as during the wars with Persia. 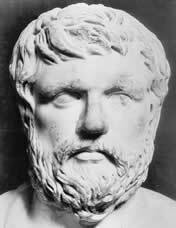 Herodotus research papers discuss the Greek Historian and his report on the world of Ancient Greece. Paper Masters writes custom research papers on Anabasis and focus on the Greek interpretation of historical events.